I was dreading my review of Wonder, the film adaptation of R. J. Palacio's novel by the same name, because I hate “feel good” movies. That is to say, I hate movies that use cheap, exploitative techniques to elicit emotions of sympathy, sentimentality, and superficial satisfaction from their audience. These films make me want to shoot myself because their premises rely on unbelievable or unrealistic events, cartoonish caricatures, and saccharine endings that leave me feeling nauseous rather than good. However, I was pleasantly surprised to discover that Wonder, despite relying heavily on such sentimentality, is a character-driven drama that is well worth the price of admission. Wonder focuses on one pivotal year in the life of one August “Auggie” Pullman, a ten-year-old boy who suffers from Treacher Collins syndrome, and his relationship with his immediate family and friends as he attends public school for the first time in his life. One of the main reasons for Wonder’s success is its direction by coming of age movie genre master, Stephen Chbosky, who wrote, adapted, and directed the universally beloved The Perks of Being a Wallflower. Having not read the original novel myself, I cannot comment on whether or not the film is a faithful adaptation of its source material, but I can say that Chbosky has done a fantastic job. 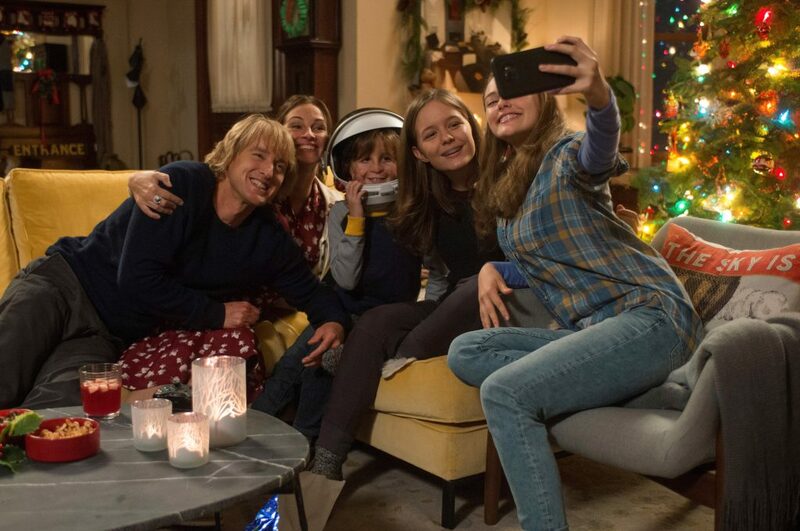 Chbosky wisely chooses to analyze not just Auggie, the film’s central character and the “sun/son” that the movie revolves around, but also the people who orbit him (this metaphor is explicitly repeated several times throughout the movie and, thankfully, is about as cheesy as the film gets). Auggie’s first year of school is, predictably, difficult. Nonetheless, while Auggie’s school days have their ups and downs, the experience is ultimately a triumph for both Auggie and the audience. The film’s characters are the bedrock of its success. Despite having many child actors, the movie’s cast acts convincingly. The obvious standout performance is made by Jacob Tremblay in his portrayal of Auggie. Tremblay has already displayed impressive acting talent for his age through his previous soul-crushing performance in Room. Tremblay (who had to sit up to two and a half hours in a makeup chair to receive various prosthetic for this performance) is the movie’s heart and soul. Auggie’s understandable trepidation at starting school and meeting new people is palpable. But so too are his intelligence, curiosity, becoming idiosyncrasies, and good humor in spite of his disability. Chbosky amplifies Tremblay’s performance by giving us a glimpse into Auggie’s world, with the protagonist’s visual narration and striking imagination displayed for us to witness. Equal parts charming and heartfelt, these imaginative sequences never feel cheap because they are the coping mechanism that Auggie uses to get through his harsh world, simultaneously showcasing the different facets of his personality. We learn about Auggie’s love for Halloween, science, and Star Wars organically as the story progresses. The rest of the child actors in Wonder also act miraculously well. The film spends a majority of its time with Auggie’s experiences in the fifth grade as he overcomes prejudices, stereotypes, and bullying while trying to make friends. “Hell is other people” is a quote I was reminded of as I watched Auggie traverse his first year in public school. Auggie is bullied mercilessly by the school’s popular boy, Julian (Bryce Gheisar), and his adolescent gang throughout the school year. Nevertheless, Auggie is eventually befriended by one distinct member of the clique named Jack Will (played by Noah Jupe; also known for perhaps being the only good thing about the film Suburbicon). 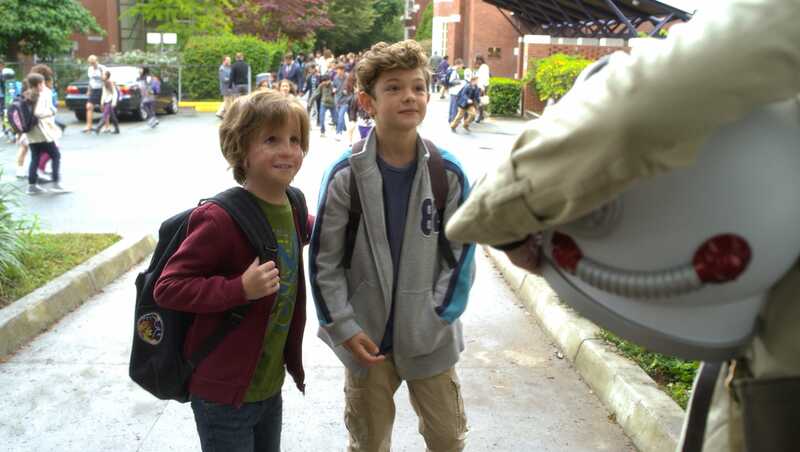 Noah Jupe is a fine supporting compliment to Tremblay. Jack Will’s character is fairly well developed and his friendship with Auggie is one of the highlights of the film. Several other characters in the movie also get their own focus and analysis; most notably, Auggie’s sister, Olivia “Via” Pullman (Izabela Vidovic). Her life is excellently juxtaposed with Auggie’s as the film explores how she feels like a forgotten, only child, due to the constant care, doting, and attention her parents lavish on Auggie. Likewise, Auggie's mother, Isabel Pullman (Julia Roberts), is closely examined as she attempts to restart a life she has literally put on hold for Auggie prior to his recent commencement of school. The only character who gets the short end of the prodding stick in this film is Nate Pullman (Owen Wilson), Auggie’s father. The film never goes into great detail or depth about Nate’s life, and he is mainly just used for comic relief. Wonder deftly manages to tug at your heartstrings without feeling fake or cheesy. The film, in fact, manages to succeed so well because of its strong emotional core. Chbosky proves he’s still a skillful “coming of age” movie director through his focused, character-driven narrative. Indeed, all the story’s characters themselves are standouts in the film as the movie’s child actors manage to hold their own with their adult counterparts; especially Auggie, who, by the story’s end, becomes the film’s eponymous title. 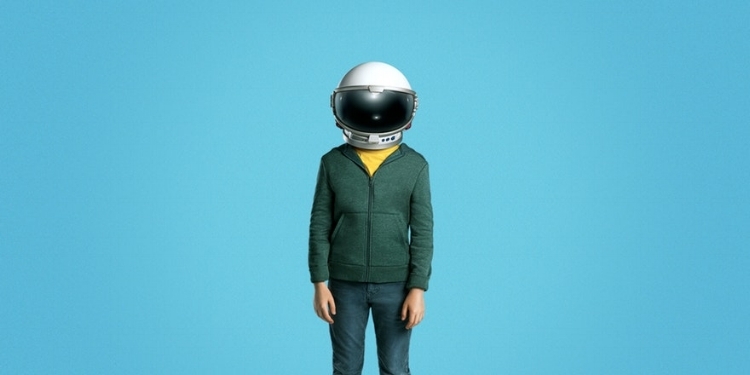 If you’re looking for something different from this season’s big-budget blockbusters, Wonder is a delightful alternative.